HP has announced its third-generation Elite x2 2-in-1 hybrid PCs for enterprise and government clients. The new Elite x2 1013 systems received faster quad-core processors along with a larger display while retaining approximate weight and dimensions when compared to previous-gen convertibles released a year ago. 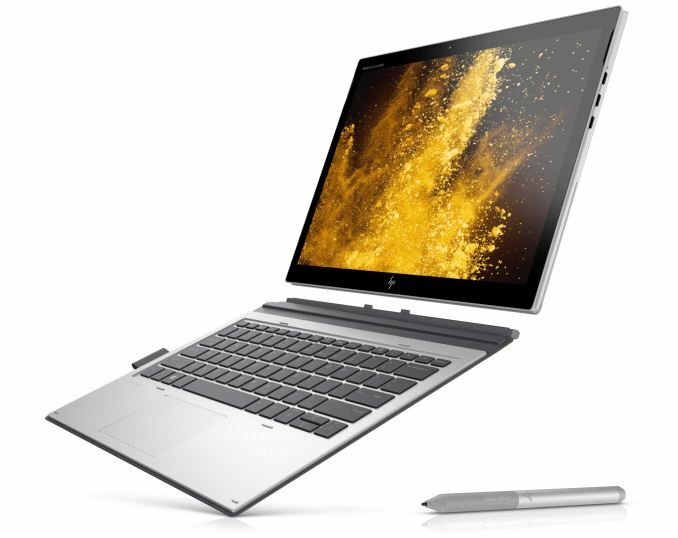 When HP introduced its first-gen Elite x2 2-in-1 two years ago, the company revealed its “power of a notebook, flexibility of a tablet” design philosophy and has been following it since then. The first-gen Elite x2 was powered by a Skylake-Y ULV SoC and outfitted with as 12.1-inch display. By contrast, HP’s third-gen Elite x2 1013 2-in-1 hybrid computers are based on Intel’s 8th Generation Core processors with two or four cores and are equipped with a larger 13-inch LCD with a 3000×2000 resolution and a 450 bits brightness or a 1920×1280 resolution with a 700 nits brightness as well as HP’s Sure View privacy screen. When it comes to memory and storage, the system features 16 GB of LPDDR3-2133 memory, and a 128 GB – 512 GB SSD (SED or FIPS 140-2 encrypted for models aimed at government agencies). Essentially, HP’s latest Elite x2 2-in-1s offer performance of 13-inch high-performance laptops, but in a modern form-factor. 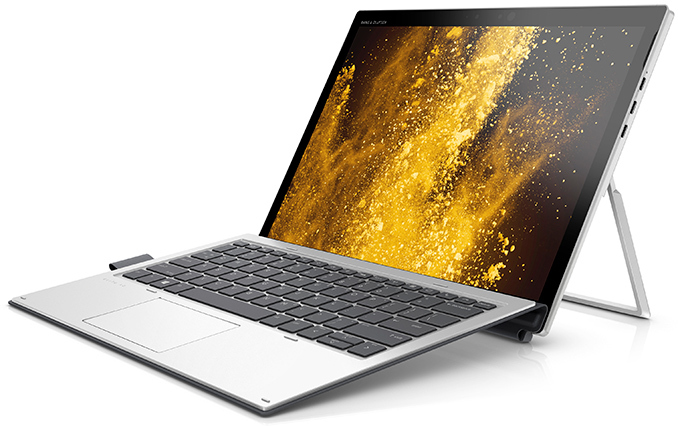 When it comes to wireless connectivity, the HP Elite x2 1013 G3 is equipped with an 802.11ac Wi-Fi + Bluetooth module, and a 4G/LTE modem with GPS. Unlike the previous-gen model, the new Elite x2 does not support WiGig, so the new hybrid is not compatible with wireless docks developed for earlier PCs. As for wired I/O, the Elite x2 1013 G3 comes with two Thunderbolt 3 ports and one USB 3.1 Gen 1 Type-C connector, eliminating a USB Type-A header and an SD card reader featured on the previous-gen Elite x2 machine. Apparently, HP believes that two TB3 ports are enough for docking and connecting to necessary devices (e.g., an external graphics subsystem). Moving on to other features of the HP Elite x2 1013 G3. Since this is a hybrid PC, it is equipped with all the sensors found in modern tablets, including an accelerometer, a gyro, an ambient light sensor, a magnetometer, a proximity sensor, and a Hall sensor. Obviously, the system also has a triple-microphone array, stereo speakers co-developed with Bang & Olufsen, a 5 MP front-facing webcam with IR sensors for Windows Hello, and an 8 MP back-facing camera on the rear. Now, time to talk about portability and battery life of the Elite x2 1013 G3. The tablet itself weighs 820 grams and is 7.9 mm thick, in line with the previous-generation product (in fact, it is ~1 mm thinner). When equipped with a keyboard the weight increases to 1.17 kilograms, whereas the thickness rises to 1.33 cm (lower than the previous-gen Elite x2). Due to space constraints, HP could only squeeze a 50 Wh battery into the new hybrid PC and this battery pack enables 10.5 hours of work on one charge. HP’s Elite x2 1013 G3 2-in-1 convertible computers will hit the market this June with prices starting at $1,499, which is considerably higher than $1,099, the starting price of the Elite x2 1012 G2. Oh that looks really nice, but I do get a sense that the keyboard gets close to covering the bottom edge of the screen based on some of the photos. I guess if you're sitting right in front of it at a desk, it's probably not an issue. All it means is Bang & Olufsen will take money to slap their name on any turd with a speaker cone. Anton, can you please find out if this has charger DRM like the old HP convertibles did? There isn’t much to complain about when it comes to this tablet/laptop device. I’m a long time Surface Pro user who wanted a larger screened device because of aging eyes. 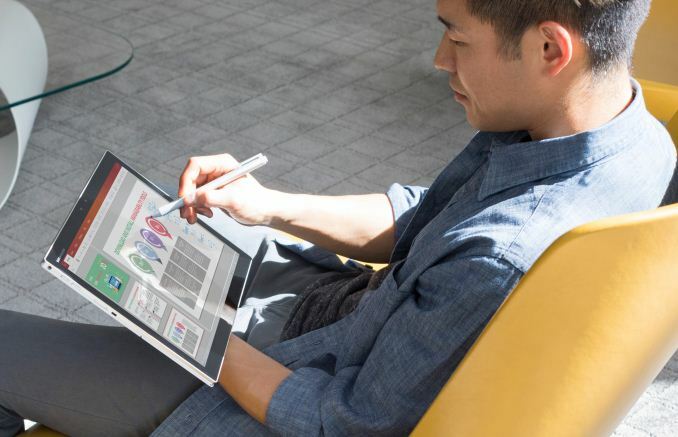 From a hardware standpoint, the HP unit is comparable, or even superior to the Microsoft Surface Pro 6 product in its performance and port selection. When comparing this device to the competition there are a few specifications which make this HP unit more attractive. For instance, increasing the screen size to 13.0” from 12.3”, while maintaining a high pixel count, makes the visual presentation easier on the eyes. That said, the brightness on the HP screen doesn’t quite match up to the Surface, so increasing the settings above the default was necessary. And, the larger screen will consume more power, thereby reducing battery life slightly. But the screen is excellent for productivity work, and most users will greatly enjoy using it. Another welcome addition is the inclusion of a USB-C Thunderbolt port. That said, the absence of a USB-A port on a business device is a serious inconvenience. Besides the screen, another area where this unit diverges slightly from the winning Microsoft formula is in the keyboard design. For some reason, the key layout feels trickier to type on, even though the physical size is comparable. This might be a personal problem, as the overall keyboard design is very good. But it’s not quite as good a fit for my fingers as the Microsoft products that I am accustomed to. Another area where the HP implementation differs from Microsoft is the kickstand. The Microsoft design is a flat plane of sheet-metal, whereas the HP product use hollow aluminum frame. Truthfully, it’s not the design of the actual stand that bothers me, but the maximum angle for depressing the screen. In the latest generation of Microsoft product, you can lower the tablet to a very shallow angle that nearly touches the table. This angle is great for taking notes using the optional digital inking pen. The HP product, unfortunately, uses the older Microsoft design with a higher angle off the table. This is fine for digital art, but I found it awkward for taking notes with the included stylus. Unfortunately, this is my primary use of the pen and the sole reason for using a tablet versus a traditional laptop. In fact, I gave up and closed the kickstand altogether and propped the back of the unit on a slim book to simulate the angle of the Surface Pro 6. While we are on the topic of pens, HP decided to omit the magnetic edges from this device’s case to allow the pen to snap into place when not in use. They included this on their sister clamshell laptop designs, just like Microsoft does with the Surface. Instead, the 1013 has the now outdated loop on the keyboard to help you from losing you pen during transit. And, Microsoft’s pen design includes a, eraser function by turning over the stylus. This is great for notetakers. 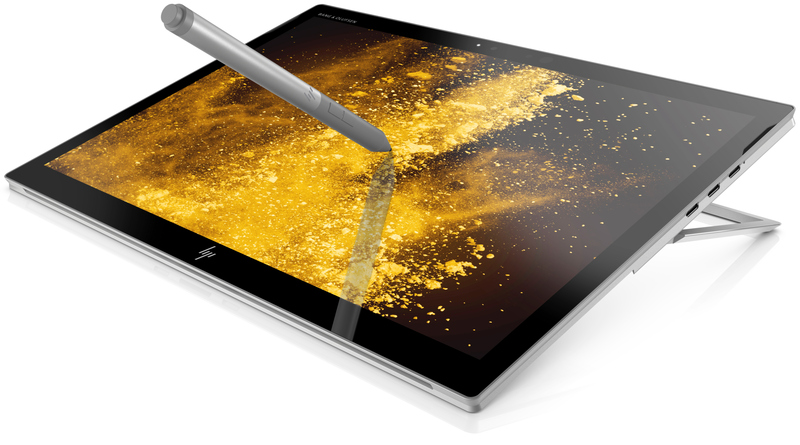 By glancing at the imbedded devices and components in the control panel, it appears HP borrowed a lot of it’s design from Microsoft, which is not surprising since Microsoft’s goal for the Surface line is to move the industry forward. As I mentioned, the HP Elite X2 1013 has a lot going for it including the ability to customize the features to your needs, including LTE support, and the ability for your IT staff to perform on-site repairs. Some enterprise IT departments may like the security software loaded on the device, but I was frustrated with the endless amount of bloatware.